Microchips are amazing, but they're only as good as the information provided to the microchip company. It's vital the information is kept current for the microchip to be effective! If your dog is microchipped and becomes lost, be sure to alert the microchip company immediately. Ask them to notify you if your dog is scanned, and verify they have your correct phone number too. Even if your dog has been missing for a long period of time, until your dog is found it's important to keep your information current. Frequently dogs are reunited with their families months, or even years later, because of an up-to-date microchip! So, what can you do if you find a dog with a "dead end" chip or ID tag? Lost Dogs of America and Helping Lost Pets have a trained group of volunteers who can help! They have great success tracking down owners with phone numbers that are no longer in service, and even with unregistered chips. This service is completely free to shelters, rescues, and the public. Please let your local shelter know this service is available to them. ​Click here free help tracking a dead end chip. Shelters click here. 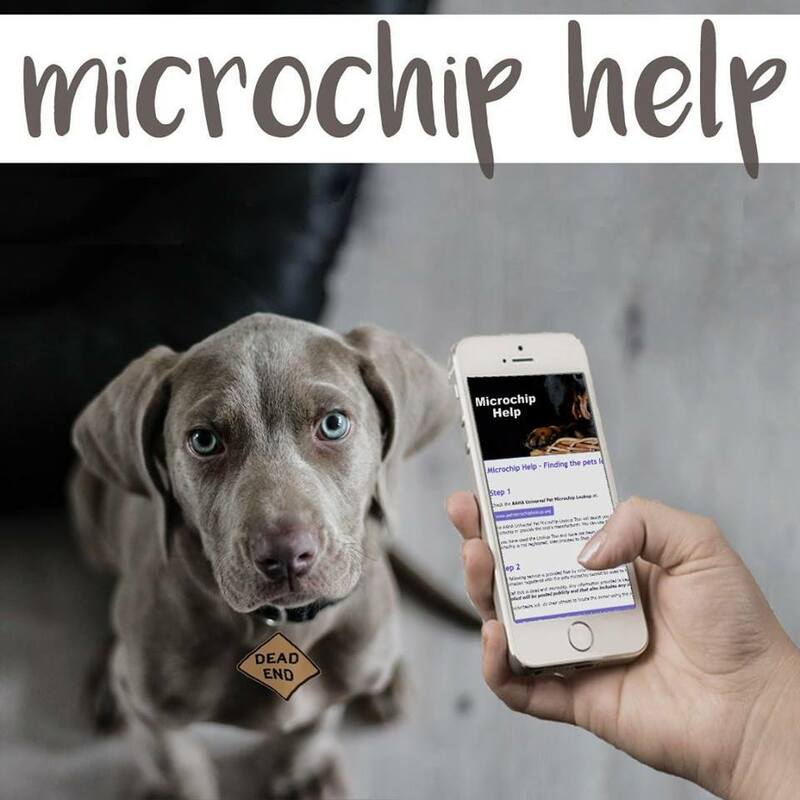 ​More information about microchips below. Feel free to share this information with your veterinarian and your shelter.